Is Bipartisanship Dead? is a status report on the condition of bipartisanship in the U.S. Senate and includes material from candid, on-the-record interviews with a dozen Democrats and Republicans. The book explores the distinct differences in bipartisanship in Senate committees and on the floor of the chamber and highlights the role of party leaders in promoting or discouraging bipartisan efforts. The book also asks the important question--Is bipartisanship necessarily a good thing?--and provides examples of flawed bipartisan legislation along with the views of critics of bipartisanship. Finally, the book delivers a dispassionate analysis of the vital signs of bipartisanship in the U.S. Senate and examines the constraints on bipartisan action in an era of polarized politics. "The only way our system functions is when members of both parties check their partisan hats at the door and work together on behalf of the nation. No one understands the Senate better than Ross Baker. 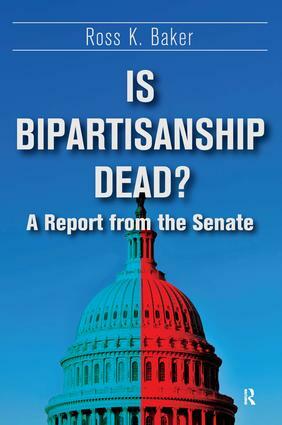 His book provides valuable insight to understand how the Senate has changed and what's needed to fix it."